Serving Amsoil customers in four states: South Carolina: Columbia, Anderson, Beaufort, Charleston, Darlington, Florence, Greenville, Myrtle Beach, North Charleston, Orangeburg, Rock Hill, Spartanburg. Alabama: Decatur, Huntsville, Birmingham, Montgomery, Mobile, Talladega. Georgia: Albany, Athens, Atlanta, Augusta, Columbus, Macon, Valdosta. North Carolina: Asheville, Charlotte, Greensboro, Fayetteville, Wilmington, Winston-Salem. Located in Columbia, SC - we serve the entire country. Thanks to AMSOIL's 12 distribution centers we can keep shipping costs to a minimum saving you even more money. We are Columbia's most courteous AMSOIL Dealer. Look through the main site and request your catalog or just email me for your order. We will soon post any shops where you can buy AMSOIL from but for now I can ship anything to you from our distribution center or you may pick up. 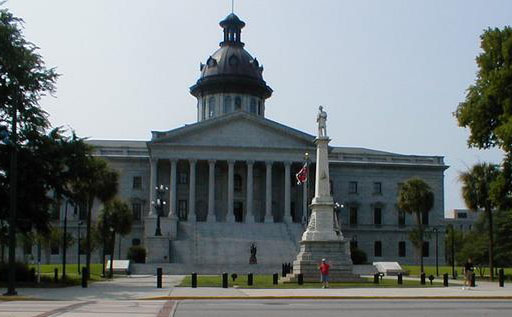 AMSOIL's Carolina dealer is based in Columbia, SC in the heart of the south east and proudly serving the USA! We are a nationwide AMSOIL Synthetic Lubricants dealer. Khalid Shaheed, a Certified AMSOIL Dealer, is committed to providing first-time and long-standing customers with the finest AMSOIL Synthetic Motor and Diesel Oils. We are signing up Preferred Customers all the time, and are enthusiastic about showing new customers the time and money-saving advantages of our products. Amsoil - The top rated Group IV synthetic can be bought directly when using your own preferred customer account. Try it and see the advantages. Most importantly, due to the legendary extended service intervals of AMSOIL Synthetic Motor Oils, AMSOIL is environmentally friendly and saves wear on precious engine parts. Please call or email for more info. In 1972, AMSOIL developed the first synthetic motor oil in the world to meet American Petroleum Institute service requirements. Currently, the AMSOIL product line includes the finest quality synthetic motor oils, synthetic diesel oils, gear lubes, synthetic greases, industrial lubricants, oil filters, air filters and automotive performance products. For your gasoline vehicle try our 100% full PAO Synthetics with our 12,500 mile filters. You save gas and stop wasting money at other quick lube centers. As you look through the site please ask for your free AMSOIL catalog before leaving. AMSOIL base stocks are made in Ohio and Virginia and mixed in Wisconsin. With AMSOIL in gasoline engines you simply reach 25,000 miles or one year before draining your oil. We have a full line of AMSOIL Oil Filters made to our specifications by Hastings of Kearney, NE. Our filters are guaranteed in gasoline engine applications for 12,500 or 6-months. See our products area for information on the Diesel Oils or applications. So all you need is a case of oil and four filters to cover most vehicles for the two years. All products are produced in the USA. Also contact us for all your 2-cycle, boating lubricants, racing oils, synthetic greases and transmission gear and hydraulic fluids. For watercraft our AMSOIL Interceptor 2-cycle injector oil is one of the best selling items in the industry. Great for Rotax power engines. It's the most demanded jet ski and snowmobile oil. We sell for less than OEM. Clean power valve operation for less cost. South Carolina is one of the top 5 states for demand of AMSOIL products. There is a great need for AMSOIL dealers here and across the state, especially with boating enthusiasts, recreational vehicles and diesel engine owners. You get excellent support from myself and AMSOIL. We share leads with you. Any dealers interested will have a better than average opportunity to pick up on strong leads and grow their businesses. Ask for a copy of the AMSOIL Magazine or the newsletter. Be sure to check out our Dealer page.